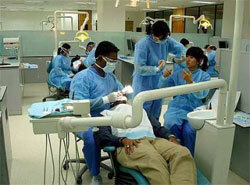 Accelerated 5 years program leading to Doctor of Dental Medicine (D.M.D.) Degree directly after high school. Higher placements are available to qualified students. Curriculum based on US dental schools program designed to prepare students for licensures in US and other countries. Clinical rotations are available at recognized affiliated institutions and hospitals in Africa, US and other countries.